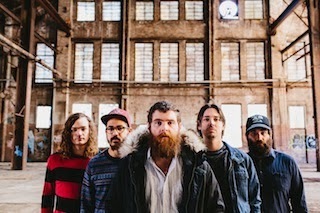 Manchester Orchestra have announced their new album will be titled Cope and is scheduled to be released on April 1st via Loma Vista Recordings/Favorite Gentlemen Recordings. In support of Cope, the band are heading out on a two-month North American headlining tour with support coming from Balance and Composure as well as Kevin Devine & The Goddamn Band. Dates, as well as a stream of a new song titled "Top Notch," can be found below.